As a member of the Celtic nation, I meet fellow members everywhere I go. I see their artwork come through in tattoos, signs and billboards. The ancient culture devised by my forefathers is even more prevalent now that it was in the dark dawn of time, centuries ago. I am proud to be Welsh, to be part of the Celtic nation, and to have visited my home country of Wales and the other Celtic countries in Europe. 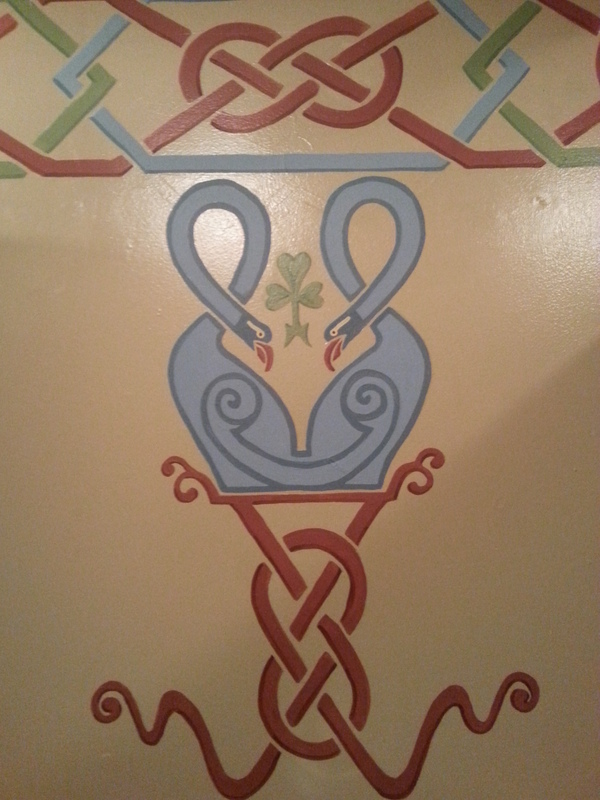 All I need to do to remember is to look around and see my Celtic brothers and sisters and their signs everywhere. This particular sign I found in the Cornelius Pass Road House in Oregon. It is, like my Celtic nation, wonderful, magical, mystical, artistic and beautiful in every way. 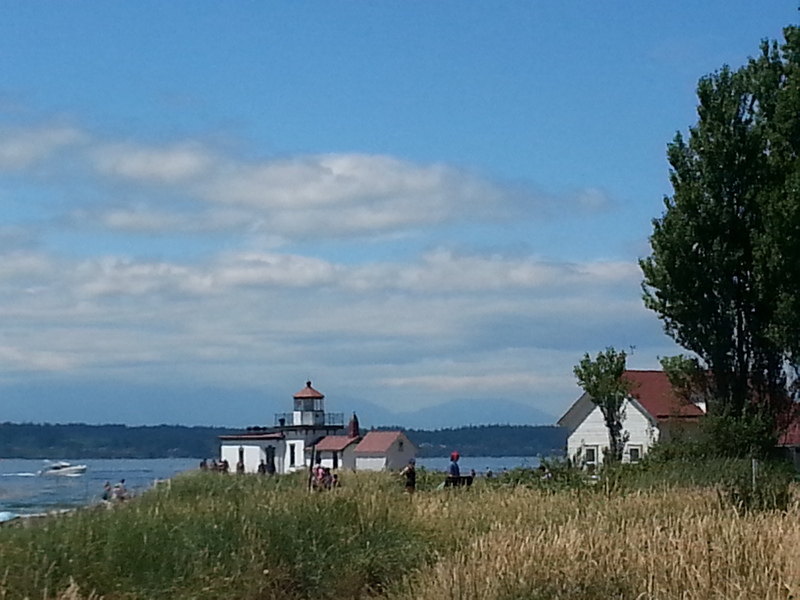 …We did a 3-mile round trip hike through Discovery Park and down to the Discovery Point lighthouse. It was a beautiful day and there were lots of views. We hiked in and out of fields, forests, hill paths, over streams and ultimately down to the ocean. The views down were spectacular. The lighthouse itself is a piece of history. And the views once we got down to the lighthouse were amazing. 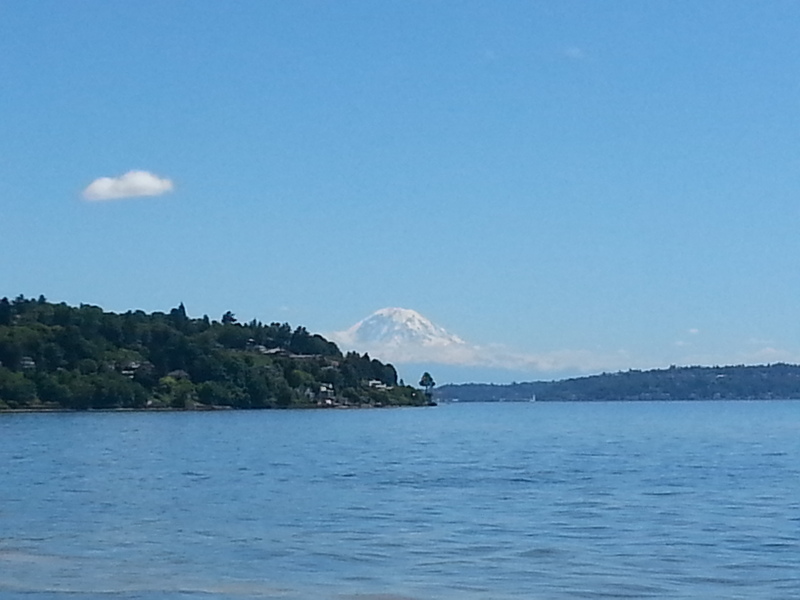 We live in such an amazing and beautiful part of the country. We are so grateful and blessed.